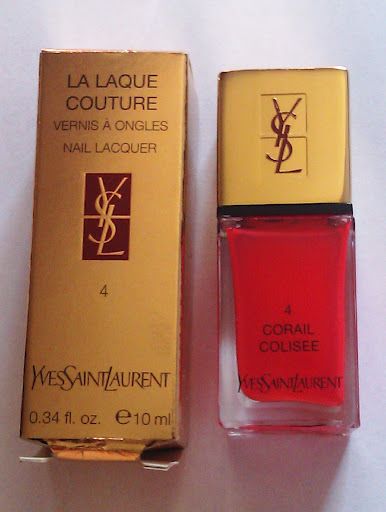 YSL Corail Colisée is my beloved coral nail polish for this season. For me it is the perfect red coral: super vibrant and shiny! It makes me so excited! The color on my nails looks exactly like in the bottle. It claims to have a high pigmentation, but you can’t get the pure color with one coat. You absolutely have to apply a second one, otherwise it is quit sheer. It also claims to have extreme shine and hold. This nail polish not only lasts for at least 6 days on my nails(with no top coat) and that really surprised me. As for the shine, it’s not bad at all; it dulls down after 4-5 days. I applied Corail Colisée without base because I was in a hurry and I have to admit that I was afraid that it will stain my nails. I was wrong! Then I learnt that it is enriched with Chilean rose oil and calcium and that’s why the formula reinforces, protects and beautifies the nails. It dries in just a few minutes. Perfect for me that I am always in a hurry and I can’t wait for an hour for my nail polish to dry! Five minutes after applying it, I am back on my duties! As for the packaging, Yves Saint Laurent couldn’t have anything else: luxurious, elegant and timeless. The square glass bottle with the square gold cap, adorned with the brand’s logo, look so chic and have a timeless style. 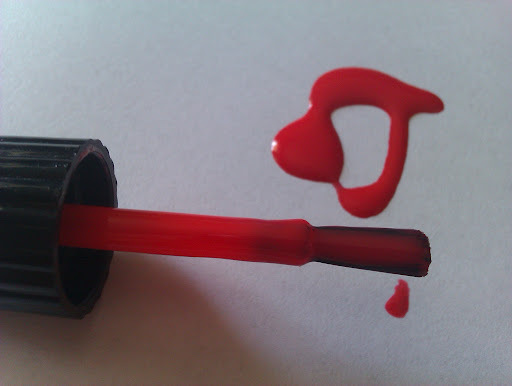 The gold cap pops off and reveals a black on, in which the brush is attached. Oh! the brush! I can’t avoid mentioning it! Flat and fine, it contours perfectly the nail and it delivers a fine coat at the entire nail in a single stroke. 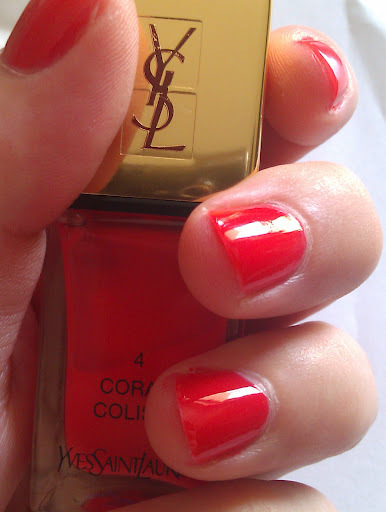 Overall, that’s the first YSL nail polish I got and I really like it. I wouldn’t say the shine lasts longer that other nail polishes(like OPI or Layla), but I do love the hold. Plus, the color is one of my favorites. I think €21 is a lot of money just for a nail polish, but, if you can, I really suggest you to get this love! 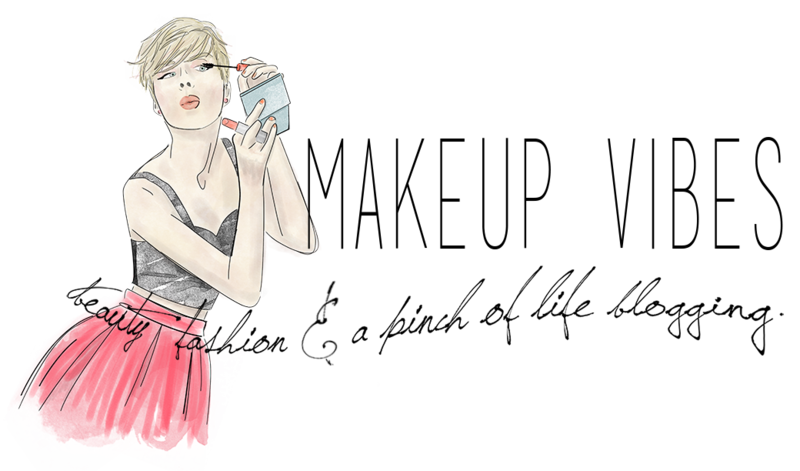 Have you ever tried Yves Saint Laurent’s nail polishes? Do you think it worth to spend €21 for a nail polish? Απλά τα σπάει!!! Το λατεύω! Αν έχεις την ευκαιρία, δοκίμασε το!! !